RUSH: They’re making it too easy. They’re making it look like it’s not hard to do. I predict that they’re gonna do something, and they do it. This New York Times story that Mueller’s team is not happy with the way Barr is representing their summary, it’s all a crock, folks! It’s secondary and tertiary sources. It’s not even people that are on Mueller’s team that are doing the so-called leaking! I predicted this the day after the report was released, and especially when the Democrats started complaining that the Barr summary was incomplete, we need to see the whole thing. I asked the simple question: If Barr’s lying about it, why aren’t Mueller and his people going public with the fact that Barr’s lying about what’s in the report? Guess what? That’s what the New York Times and CNN are trying to do today. And the Washington Post. They’re trying to make it look like Mueller’s team is upset with the way Barr is presenting his summary and there’s more damaging stuff in there than what Barr has alluded to. But these sources are not members of Mueller’s team. These are associates of members of Mueller’s team. In other words, it’s not Mueller, and it’s not Weissmann, and it’s not Strzok Smirk or any of the other actual members of Mueller’s team. These are like friends of Comey, you know, from Bible study that are out leaking. It’s so utterly predictable. But once again we’re up against what we’re always up against, and that is people who only read the New York Times or watch CNN, Washington Post, they have a totally skewed version of what’s going on. They now believe that the Mueller report has things in it that Barr is being dishonest about and has lied about. And it isn’t true. It isn’t true. We’ll deal with this in great detail in a moment. Greetings, my friends, and welcome. It is so good to be with you. Always is. Yet another three-hour excursion into broadcast excellence. Our telephone number, 800-282-2882. Well, here’s the New York Times headline: “Some on Mueller’s Team Say Report Was More Damaging Than Barr Revealed.” No. That’s not what’s in this story. What’s in this story is associates — two people! In fact, if you read the New York Times’ 1,500-word bombshell report on this, you know what you’ll see? Two sentences, 1,500 words. Two sentences about what their anonymous sources claim. And here are the two sentences. You ready? Dadelut dadelut dadelut dadelut dadelut. So we don’t know why they think it’s more damaging than what Mueller has said. They just are leaking that it is! “– although the report is believed to examine Mr. Trump’s efforts to thwart the investigation.” A-ha! So they’re going to zero in here on Trump’s obstruction. I told you this. I warned you that this report was gonna be very unflattering, it was gonna be critical of Trump’s character, his personality, his lack of qualifications. And I wouldn’t be a bit surprised if the alleged obstruction in this report has to do with Trump constantly calling it a witch hunt. RUSH: I want to start here in Danville, New Hampshire, with Rob. Great to have you, sir. Hi. CALLER: Hi. How you doing, Rush? I have a question about your predictions. See, I’m thinking the hateful left are too stupid to figure out what to do, so they get their advice from you on your predictions, and then they make it true. RUSH: Yeah, it is uncanny, isn’t it, how accurately my predictions are — or how frequently they come true. 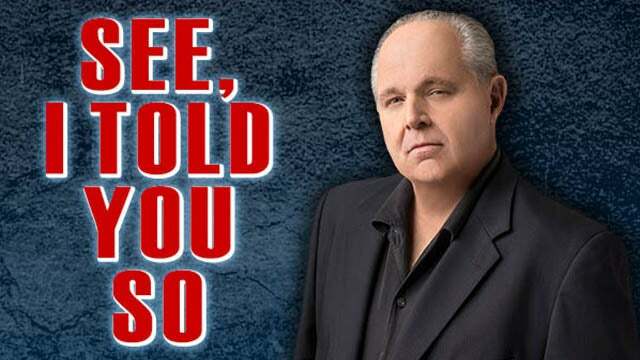 RUSH: I predicted exactly this story today. Now, I appreciate the compliment out there, Rob, but I don’t think they are listening to me to find out what to do. If they are, and if we can confirm that, then we have a unique opportunity here. It’s kind of like, you know, when you see in a movie the good guys bug the bad guy, and the bad guy discovers the bug but leaves it in to start lying and misleading the good guys down the wrong trail. But I don’t think that they are trying to get ideas on what to do from me. I think I just know them back the back of my hand. I know these people. I know what they’re gonna do. I know how they do it. I know how they think. And once you understand liberalism, it is easy to predict what they’re gonna do. For example — and here I go with the redundancy again, but it’s part of the setup process here. When you know that there was no collusion, when you’re confident — I’m confident, I’ve known it from the beginning there was never any collusion with Russia, it had nothing to do with that election. It’s not possible to rig a presidential election that way. I mean it just isn’t possible. I know what you’re thinking, “Rush, what about the Kennedys in Chicago and West Virginia?” Well, yeah, that’s after the votes are in and you know where you have to go. But this, that Trump colluded with Russia to corrupt the electoral process, it’s not possible. My point is, once you hear that, you know from the get-go they don’t even believe that there was collusion and a rigged election. You know the people investigating it don’t even believe it ’cause they know. So you’ve got a hoax from the get-go. You have got a contrived scandal and when you throw in all the details we’ve learned about it, you know exactly why. So if you know confidently that there was no collusion, that there couldn’t have been, even Obama said in April of 2016 when this subject was being bandied about, Obama actually was trolling Trump when he said a presidential election in the United States cannot be rigged, they’re too complex. You wouldn’t know where to go. You’ve gotta factor the Electoral College. You don’t have access to voting machines. They’re not online. Obama made it clear. Now, by the way, folks, I don’t think that was psychological ploy. I don’t think it is possible to rig, unless somehow, someday, some way somebody has control of every state and every precinct. But we’re not there, and that’s not what they were alleging here anyway. They were just alleging collusion, stealing an election from Hillary. This whole thing has been bogus from the get-go. So once you know that, once you have confidence in that, then everything that follows is a lie, right? Everything that follows is a hoax, everything that follows is a part of the hoax, everything that follows is part of the scandal. So then it becomes easy to predict. If the Mueller report simply is — and, you know what? It’s two things. 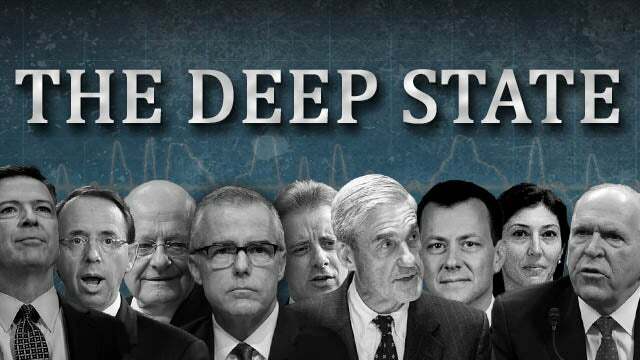 It is a cover-up of the real criminality, but it’s also an ongoing opposition research project by and for opponents of President Trump. Look, Mueller has had the legal ability to go out and get dirt on anybody he wants. And he’s been able to put a bunch of people in jail. He’s been able to charge people with process crime lying, and it’s ongoing. Now they’re doing Trump’s tax returns. This remains what it’s always been: Get Trump, remove Trump, reverse the outcome of the 2016 election. Once you know that and once you are totally confident, then you can predict what the architects of this are gonna do. So the next phase, Mueller submits his report. Barr looks at it. After three or four days, issues a four-page summary. No collusion. No obstruction. The left predictably goes nuts because they either want or believe or expect Mueller to report the opposite. Now, we’re deep into psychology here. I actually think that the Drive-By Media is making some Americans insane. I have a story here that I’m gonna illustrate it with photos coming up in a moment. I think people that believe the mainstream media are being driven insane. And the evidence is all of these people that literally believed Hillary was gonna win in a landslide. Who told them that? The Drive-Bys and their polling data. Then all these people who were assured that Trump colluded. We had polling data, 42% of the American people at one point believed the Russians tampered with votes. This stuff is not occurring in a vacuum. They are affecting people that are not well assembled and really solidly put together. There’s a lot of psychological imbalance out there on the American left. And the media and the Democrats are feeding it every day. And they’re feeding them all these lofty expectations that somehow, some magic is gonna happen, they’re gonna get rid of this troll that they hate, Donald Trump, and yet they can’t, they don’t, they won’t. So they’re being driven further and further into loopville. So here comes the report, no collusion, no this, no obstruction. And the reaction is, “We need to see the whole report. Barr is lying. We can’t trust Barr.” In the meantime, while Barr’s summary is out there for a week, Mueller doesn’t say anything. Mueller’s not contradicting what Barr’s summary says. And nobody on Mueller’s team is. For over a week now the summary from Barr, no collusion, no obstruction. Special counsel’s office doesn’t have anybody pipe up and say one thing. Nobody. Mueller, Weissmann, nobody that team went to CNN, New York Times, “Wait a minute, our report does say Trump colluded, Barr is lying.” There wasn’t any of that. So it became easy to predict that that was gonna happen. It became easy. And I predicted it the day after the Mueller report was released. It’s audio sound bite number 4. And here it is. RUSH ARCHIVE: The United States has been through hell for two years! The American people have been subjected to some of the biggest lies in the biggest hoax that has ever been perpetrated on the American people, and it continues to this day, despite the fact that people think Trump has been exonerated. Trump may have been found not to have colluded, but they’re now all on the warpath to find whatever Mueller thinks Trump did in obstructing justice. And that means they’re opening door to even more lies via more leaks from the same counterintelligence officials whose names we still don’t know, all these former anonymous sources talking to the New York Times and the Washington Post. RUSH: That’s back on March 25th, folks. Here we are at April the 4th, and guess what? 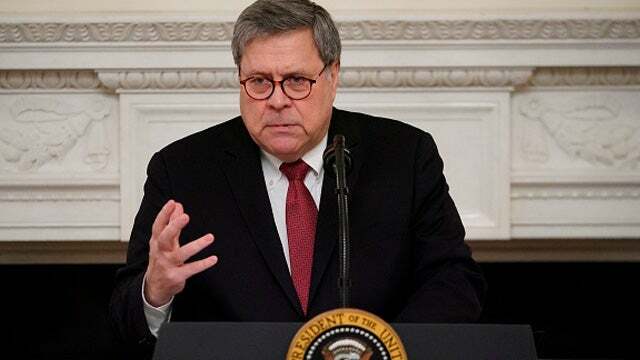 We’ve got anonymous sources talking to the New York Times and the Washington Post, and the headline is: “Some On Mueller’s Team Say Report Was More Damaging Than Barr Revealed.” This was such an easy prediction. The caller says maybe the Democrats are listening. No. They’re not listening to me for ideas. They’re just so easy to predict because they’re not complicated. That’s the crazy thing. Our side acts afraid of ’em, but there’s no reason to be. When you get right down to it. But even this headline’s misleading. “Some On Mueller’s Team Say.” No, no, no. Nobody on Mueller’s team is saying anything! It’s a 1500-word story in the New York Times, and there are two sentences. But Mueller’s team, we haven’t heard from Mueller. We haven’t heard from Weissmann, his pit bull number two. We haven’t heard from anybody. In this report, the Washington Post report, there aren’t any names named. This could all be made up, and I wouldn’t doubt for a moment that it is, nor would I be surprised if we learned this has all been made up like every story for two years about collusion was made up! Well, who are these people? “Well, I don’t know. We don’t have any names.” Oh. So we have more anonymous sources, no direct link, a 1,500-word story with two sentences that generate that headline. We’re all being played again because they cannot deal with nor accept losing. So this sentence, “It was also unclear how widespread the vexation,” the puzzlement, the confusion, “among the special counsel team,” which as a throwaway, 19 lawyers, we know about them, and 40 FBI agents. Forty? Forty? Count to 40. One, two, three, four — 40 FBI agents on Mueller’s team, pursuing something that didn’t happen? Folks, there was never any evidence of collusion. There wasn’t any collusion. We have 40 FBI agents engaged in a project to screw Donald Trump’s primary campaign? I assume that these are the agents that Strzok Smirk and McCabe are using. I mean, ’cause half of the team in the FBI ended up on Mueller’s team once the special counsel’s office opened. So you’ve got 40 FBI agents on Mueller’s team. They had to be working previously on trying to prevent Trump winning the nomination, then prevent Trump from winning the general election, and after he did that, they’re probably working trying to undermine Trump’s presidency. Forty FBI agents. And that line in the story is just kind of blipped over, 40 FBI agents pursuing something that did not happen. The question is raised here in the story, how many of them have known for how long that nothing happened and why are they still working the case? What in the name of Sam Hill was happening? And there was a Sam Hill, by the way. What is going on? Forty FBI agents pursuing something that didn’t happen. How many of them knew? Like Mueller. Mueller knew the day he took the job there wasn’t any Russian collusion. Folks, this is so much worse than what you have been led to believe, even by me. It is so much worse than we even know, what has been attempted here. RUSH: Mike in Fort Worth, Texas. Great to have you, sir. Are you there? CALLER: Yes, I am Rush. Nice talking to you. Been listening to you for decades. First-time caller. RUSH: Great to have you with us, sir. CALLER: My question is, the mainstream media, the owners irresponsible to the stockholders, after all this Mueller stuff that came out, their ratings just tanked, why wouldn’t they change their narrative, like to go after the Justice Department, the FBI, Mueller, their ratings would skyrocket just like Fox. RUSH: They don’t care about the ratings. When you get right down to it, if they cared about ratings, CNN wouldn’t be sucking. Now, look, don’t misunderstand the tone of my voice. RUSH: You’ve actually asked a great question. I’m gonna endeavor to answer this in limited time. News divisions are loss leaders in the corporations that own them. A loss leader means it can operate at a loss, they’ll make up whatever it loses in some other division of the company. The news division is what gives a company its identity, like CBS News was the news division of the Tiffany network back in the Paley days. The very fact that they’re willing to lose audience while pursuing the truth, quote, unquote, is how they get awards. It’s how they judge themselves to be courageous. “We don’t bend to the stupidity of our audience. We do what we think is right, and the hell with our customers.” And I’m not exaggerating. Ask yourself this, folks. The Drive-By Media for two years has been reporting one lie after another multiple times a day on Trump colluding with Russia. I mean, every damned one of them, every newspaper, every reporter at the newspaper, every reporter at CNN, MSNBC, they have been lied to. Are they mad? Are they upset at their sources? Are they worried that whoever told them all this gunk has made them look like fools? Not at all, folks. Because they’re in on the project. RUSH: Rudy Giuliani was fit to be tied. Last night the Fox News Channel, The Ingraham Angle, Laura Ingraham talking to Rudy about this New York Times story. By the way, it’s been a while since I mentioned it. Let me briefly just rehash this. This is crucially important. The New York Times has a story today that I predicted would happen — and this is what they want you to believe — that members of the Robert Mueller team are very disturbed over what Barr is saying about their report, that their report has much more damaging stuff in it about Trump than what Barr is saying. Now, here’s the problem. The New York Times story is 1,500 words. There are two sentences in it about this. And not one of the sources is actually a member of Mueller’s team. What in truth has happened here is that something has either been made up and is being attributed to nonexistent sources or tertiary people, people who are not on Mueller’s team. The story is associates of members of Mueller’s team have said that members of Mueller’s team are quite vexed over Barr’s — so the story is that Mueller’s team is telling their friends that they can’t believe what Barr is saying about their report. But there are no names. It’s totally anonymous. It’s exactly the kind of fake news that we got in the New York Times for the entire two years of the Mueller investigation multiple times a day, multiple stories alleging from anonymous intelligence sources that there was evidence soon and the walls were closing in, that Trump was going down! That there was gonna be evidence forthcoming that Trump had colluded and there was a traitor! And it never happened because it never existed. This is just a continuation. The story broke last night, front page Drudge Report, so cable news goes nuts with it. Rudy is on Laura Ingraham’s show talking about it. And she said to him: “Does this seem to be a politically motivated leak of grievance?” It’s a predictable leak. I may even be responsible for this ‘cause I’m out there saying look, you know, Pelosi and all these people are calling Barr a liar, they said we can’t trust Barr. So maybe the report does have evidence of collusion and Barr is covering it up? Well, then where’s Mueller? Why isn’t Mueller out there screaming from the rooftops at the New York Times, “There is collusion in my report and Barr’s lying!” What isn’t Mueller doing that? Well, guess what. Now the Mueller team is doing it! The New York Times found ’em, ha! So goes the story. So here’s Rudy reacting to it. GIULIANI: It makes the point that we’ve been making for two years, despite all of the media reports about how holy and sanctimonious the Mueller team is. They’re a bunch of sneaky, unethical leakers, and they are rabid Democrats who hate the president of the United States. And I can’t tell you how much false information they leaked during the course of the investigation. How many people were gonna be indicted that didn’t get indicted? How many blockbusters were there? Starting with Papadopoulos and ending with Cohen, who turns out to be a serial liar. How could you have any confidence in this? RUSH: Exactly. We don’t even know that this is real. This could be totally made up, like many of the stories in these two years had to be made up. Folks, there never was any evidence! Do you realize John Brennan was lying to you every time he opened his mouth, assuring you that Trump was going down, that Trump was such a horrible guy that his own immorality would crush him, the weight of his own immorality, Trump’s done for, he’s gone? They were just making it up. So Laura Ingraham said, “Why does being under audit preclude Trump from releasing his tax returns?” Now they’re back to wanting six years of Trump’s tax returns. Trump’s saying, is that all? Why stop there. My best tax returns are from ten years ago. Why don’t you — here’s Rudy’s answer to that. GIULIANI: Nadler is completing distorting our government. This is not an enforcement agency. A congressional committee doesn’t get to look at my tax returns or your tax returns. The IRS is gonna have to resist it because it would be totally illegal. There’s no basis for it. And they’re not the IRS. They don’t investigate tax fraud or tax irregularities or tax mistakes. Everybody got all upset when Nixon did this. This is horrendous. If Congress, if these politicians in Congress can get their hands on people’s tax returns, you know, they’re Democrats and they go after Republicans’ tax returns, what have we become? It has to be resisted, the president has to resist this for the good of all of us, ’cause otherwise they get a media person who’s too far right, they’ll go after their tax returns. 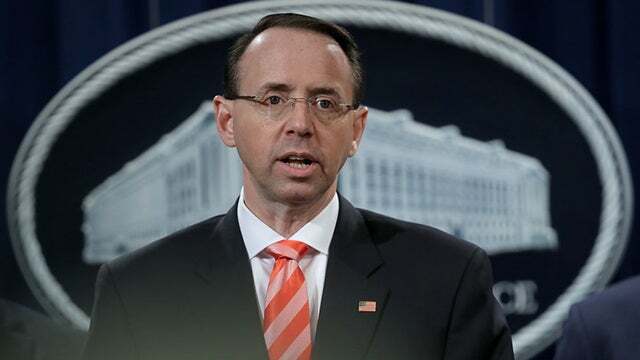 RUSH: He’s right in the sense that this automatic assumption that they’re entitled to anything they want because of oversight, the truth of the matter is the wait a moment Congress has that kind of oversight is if they begin impeachment proceedings. If they don’t do that, then they don’t get 90% of this stuff that, for example, Nadler is demanding. You know, Roger Simon and his piece at PJ Media, I really hope that whether it’s intended or not, that this stuff ends up being a gigantic booby trap on these people. I can see how it could be. They’re just so out of control, and they’ve got no substance propelling them. None of what they are telling anybody or have been telling anybody for two years is true. There isn’t any new evidence to make what hasn’t been true all of a sudden become true. They’ve got nothing. And yet they keep lying to people they’re on the verge of having it all, and it is there. Schiff is out there, “Definitely there’s collusion. I have the evidence.” Well, he doesn’t because there wasn’t any. And at some point, you know, they’re hoping to run out the time frame on this so that the day passes where they don’t have to prove they’ve got nothing. They just want to be able to keep this illusion that there is collusion, that there is traitorous behavior, and they just can’t find it ’cause these rotgut guys are hiding it from ’em!